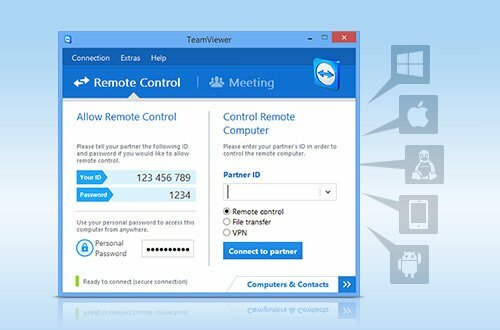 TeamViewer 14 is a simple and fast solution for remote control, desktop sharing and file transfer that works behind any firewall and NAT proxy. To connect to another computer just run TeamViewer on both machines without the need of an installation procedure. With the first start, automatic partner IDs are generated on both computers. Enter your partner’s ID into TeamViewer and the connection is established immediately. With many thousand users, worldwide TeamViewer is a standard tool to give support and assistance to people in remote locations. Furthermore, you can use this program also for presentations, where you can show your own desktop to a partner. This application also is VNC compatible and offers secure, encrypted data transfer with maximum security. 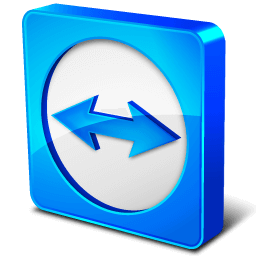 TeamViewer establishes connections to any PC all around the world within just a few seconds. You can remote control your partner’s PC as if you were sitting in right front of it. One solution for everything. Includes all modules in one simple and very affordable package: remote support, remote administration, training, and sales. Remote administration of unattended servers. You can use TeamViewer to control unattended computers and servers. Installation as a system service even allows remote reboot and reconnect. File transfer. The app comes with an integrated file transfer. That allows you to copy files and folders from and to a remote partner. It also works behind firewalls. Remote presentation of products, solutions, and services. The second mode allows you to present your desktop to a partner. Show your demos, products, and presentations over the Internet within seconds – live from your screen.